Sprucing up a bathroom is an easy, low-commitment way to make a splash in your home, beach house, or rental property. If you’re wondering how to sell your house, bathroom remodeling or refreshing is a great way to increase a home value quickly and easily – without tearing down any walls or ripping out any floors. If the goal is better bathrooms for bigger profits, you’ve come to the right place. Here are some tips to get you started. Bathrooms are small, consolidated spaces that can make a big statement without having to make any other changes in the house. Take advantage of this and let your creative juices flow – without worrying about the style and color scheme of the rest of the house. Try adding a bright color or pattern to a neutral space. Bathrooms are a great place to take risks because they’re small, shared spaces that typically don’t carry the same aesthetic weight as other rooms in the house. Replace the shower curtain with a more vibrant option, paint or paper an accent wall in a bright shade of orange or a cheerful print, or add some interesting art. Or, try updating a few key elements, such as fixtures – either vintage-trendy or clean and modern. Add a light fixture over the bathroom sink that brightens the space and gives you more lighting for your personal care routine. Add updates that are both aesthetic and functional, so you get the best of both worlds. Remember: this is a makeover, not a renovation. Don’t start from scratch with the décor, but work with what you’ve got. Consider the color of the floor tiles and backsplash, and work from there. You may not love the outdated rose shower tiles in the bathroom, but use them to your advantage. Add accents that help turn an old, outdated bathroom into a trendy, vintage-style space (Pinterest is helpful for that!). If you’ve painted recently, you may even want to use the existing wall color. 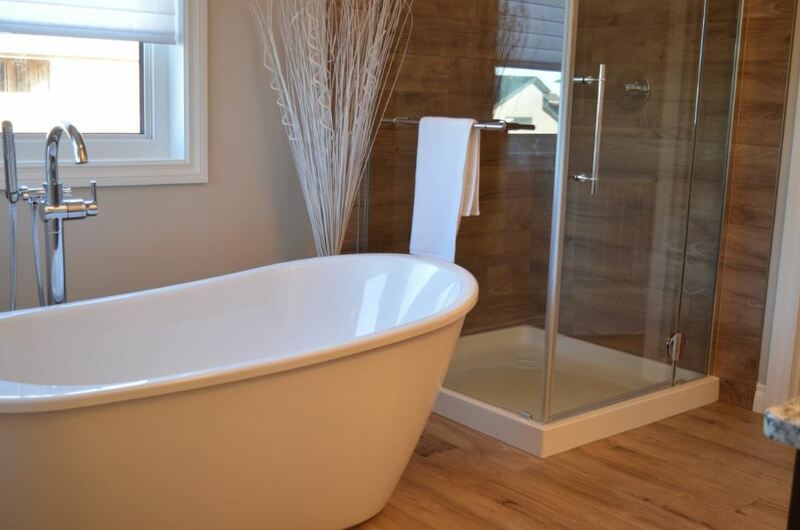 Think about the style of the tub, too: is it an antique clawfoot, standard rectangle, or a round jacuzzi? How will your new décor match it? Experiment with different décor ideas to see how everything gels. Start with what you aren’t going to change, and make sure the rest of your changes suit. Want to be the 1st to know when new homes hit the market? Bathrooms tend to be the smallest room in the house, so space is important. If you’re adding anything more than a curtain to the bathroom, you’ll have to ensure that the space doesn’t begin to feel crowded. For example, if you’re adding a shelving unit, try to attach it to the wall instead of the floor to save space. If you’re putting prints on the wall, ensure they’re not butting up against the mirror and hung in a place where they won’t get wet. This one might sound obvious, but organization is everything – especially if you’re a landlord looking to rent your property. Ask yourself some basic questions: what’s my budget? By how much will this increase rental rates or home value? 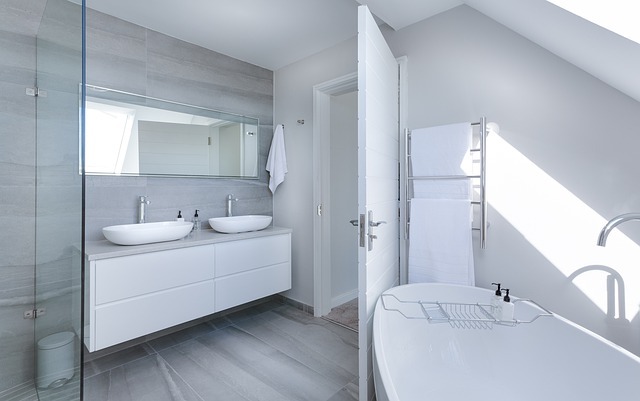 If you are renting your property out, the project might not take several weeks like a major renovation, but it’s often best to take care of your bathroom makeover during shoulder seasons to avoid disruption and help sell the property. 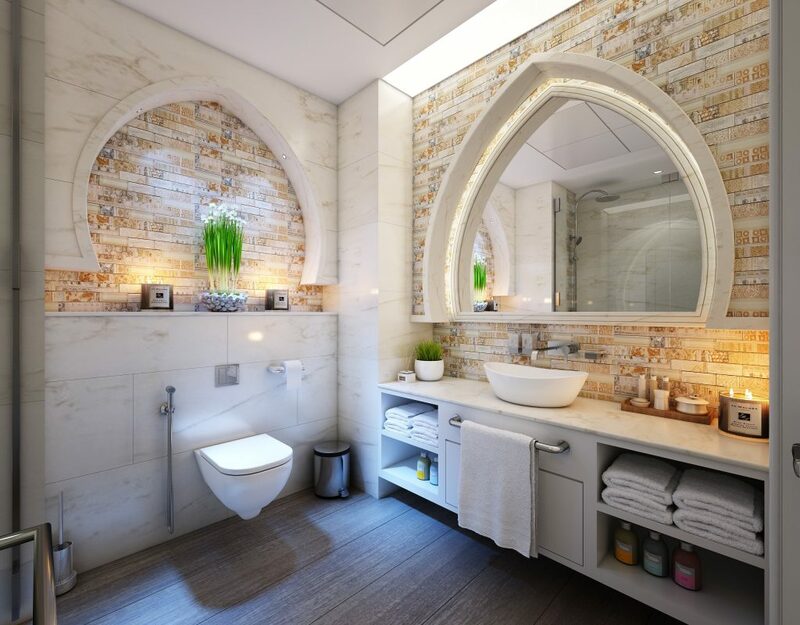 These are just a few tips to help you create better bathrooms for bigger profits – and, there’s no better time to start. 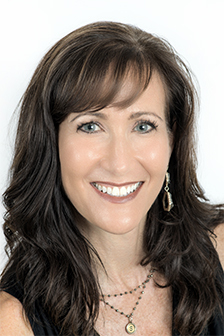 With years of experience working with home buyers in Florida, I can help you find the perfect space to make your own. For more information on Sarasota neighborhoods, our booming housing market, or how to sell your house, contact me today at 941.266.0529. Looking for a home in Sarasota?